DROM is a project of Stan Lafleur, poet and performer and fatagaga, electronic musician, both from Cologne/Germany. Stan Lafleur wrote the lyrotronik-manifest in 1995. It describes his vision of a multimedia supported stage performance. In the year 1996 fatagaga and Stan Lafleur came togehter to realize the audio part of the spectacle. The sessions were highly inspired improvisations recorded on tape in two nights. Stan with a stack of manuscripts on his knees, fatagaga with a mount of archiv tapes around the mixer. The result was pure dada. 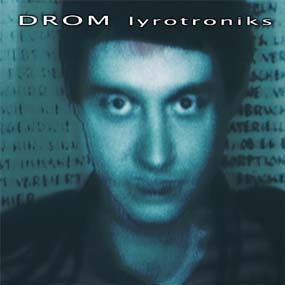 "lyrotroniks" was originally released as analog-tape in 1996.